Magda Romanska is Visiting Associate Professor of Slavic Languages and Literatures at Harvard University, Associate Professor of Theatre and Dramaturgy at Emerson College, and Dramaturg for Boston Lyric Opera. Her books include The Post-Traumatic Theatre of Grotowski and Kantor(2012), Boguslaw Schaeffer: An Anthology (2012), and Comedy: An Anthology of Theory and Criticism (2014). "It is not overstating the case to say that this volume will for sure be the book of reference for students, scholars, and dramaturgs in the fields named above if it comes to questions of dramaturgy. 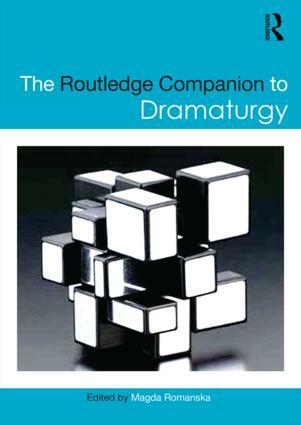 The Routledge Companion to Dramaturgy goes far beyond a conventional handbook on dramaturgy as a way to structure a text to be staged. Rather, it claims attention to and evokes interest for the variety of a concept and a profession that not only covers crucial aspects of the field, but also implicitly highlights the richesse of dramaturgy as a field of study and therefore advocates theatre, performance and media studies as important disciplines that have a long history whose end is not in sight." "A wide range of working methods in postdramatic theatre outlined in clear terms." "A timely gift to the world of contemporary theatre." "A singular, vital, and necessary contribution to the field." "An indispensable resource for anyone serious about dramaturgy." "The Routledge Companion to Dramaturgy will prove highly useful in theatre and performance practice, education, and scholarship." "Offers an impressive range of voices and insights into dramaturgical practice." 31 Who is the dramaturg in devised theatre? 85 Can technology save theatre? Tweet Seats, YouTube auditions, and Facebook backstage?